If you're reading this blog, we probably don't have to convince you of how much nonprofits can benefit from marketing technology. We often hear that nonprofits hold back from investing in helpful marketing tech resources due to a small marketing budget or the lack of a marketing team in general, so we thought we'd point out and summarize some of the most useful, accessible, and affordable tools out there today. 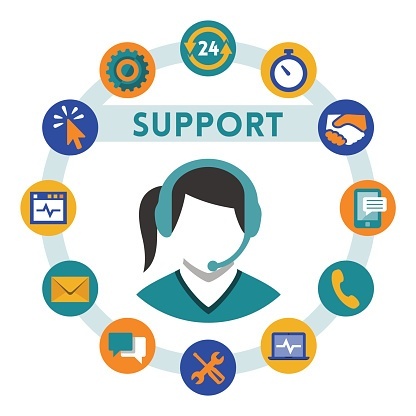 In nonprofit marketing, your most avid followers are most likely not generated by cold-calls or other outbound sales techniques. Instead, most online visitors that haven't heard of you elsewhere, come to you because they are interested in your online content. One highly-engaging source of this is video, but many times it takes a lot of resources for quality production. This is where Wibbitz comes in - it takes the content you already have (whether that be written text, images or old video) and uses advanced algorithms to craft videos in seconds (along with an automatic voice over to tell your story), making editing and publishing easy. It has become a popular way for users to digest news, so take advantage of the trend now! If you're not convinced about the power of video, read our blog on some of its major benefits: Fundraise, Recruit, Inform, & Inspire with Video. 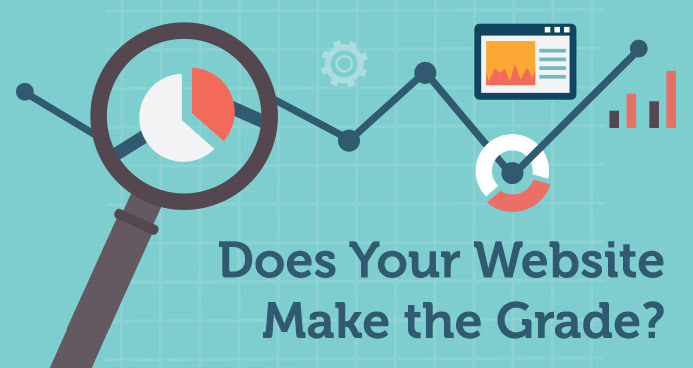 One of the biggest marketing challenges within a site is to draw users to the web page that gets them to take action. This tool works to direct visitors to a certain feature of your site, making sure users visit the pages that most matter to a certain campaign. Hello Bar shows up as a bar across the top of your site, which allows you to call out a specific action you want the visitor to take, linking them to the correct page on your site. For example, if you are running a campaign to gather volunteers for a big event, you may want to lead them from your homepage to a registration form. You can't have a successful marketing campaign without understanding what's working for you. One of the most effective ways to monitor this is through knowing how you stack up compared to others. 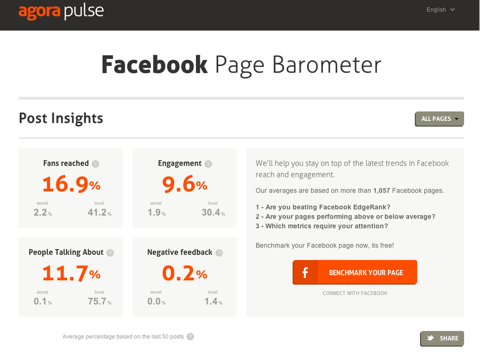 This tool allows you to analyze your Facebook, Twitter, and Instagram performance and then compares it to the performance of other similar nonprofits. In this way you can learn from what you do right vs. what someone else might do a bit better! Pricing: cheapest--$29/mo.= 1 of each account & manages your inbox/publishing/monitoring; mid-level--$49/mo.=3 of each account & manages these plus reporting/competitors; bigger investment-- $99/mo.=5 of each account plus advanced features like user profiling and apps. Sometimes, we all need a little tough love. If you want someone to check out your marketing efforts and give you feedback, all you need to do is copy and paste your URL and email into Hubspot's tool, and it will assess your site, social media, mobile, blogging, email marketing, lead nurturing, AND analytics, reviewing over 30 factors and grading you on a scale from 1-100. What is more, it even gives you advice on how to make improvements and how to prioritize your marketing efforts. This is a prime resource if you don't know in which platforms to put your resources. It's likely that members on your team are monitoring a wide array of work within multiple different software systems while also trying to keep each other in the loop. As a result of a team set-up, messaging and team communication becomes a top priority and often gets messy. 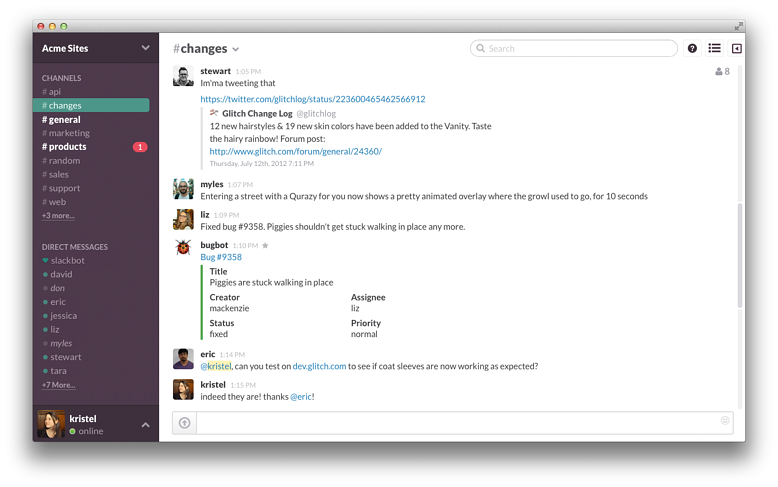 Slack allows your team to organize messaging so that all the tools you use will notify you in one easy-to-manage place. On top of this notification management, it also allows you to talk to team members in IM or group messages and easily share documents. Pricing: cheapest--Free=small teams, 10 integrations, 10k messages; mid-level--$6.67/user/mo.=same as free, but also can search messages, unlimited integrations, allows guest access, and priority support; bigger investment--$12.50/user/mo.=same as previous two, but also advanced features. One of the most important parts of gaining supporters and donations for your nonprofit is getting them to convert. This means that they come to your site (perhaps from clicking on a blogpost or social media update), but that they also give you their email and other contact info through a form or survey. If they complete this conversion, you can follow up with them later and in hopes that they will eventually become a more invested supporter. 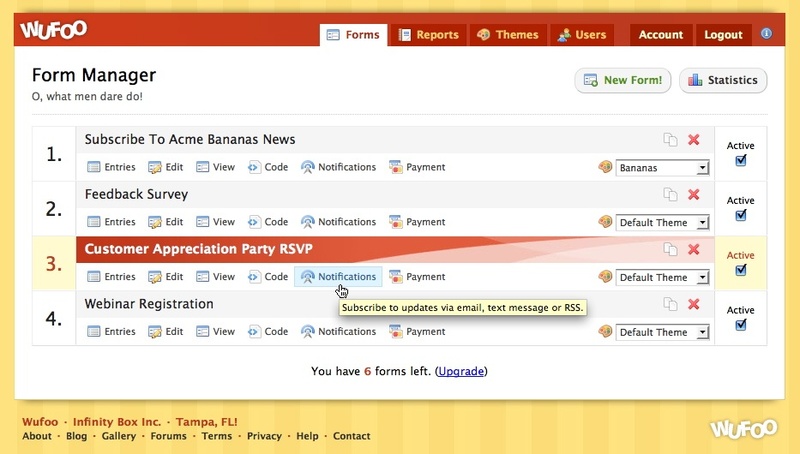 To do this, you need a way to build forms, which is where Wufoo comes in. It helps you create a custom form (with the help of 300+ templates), link it to your web pages, and link your email or phone to the site so you get updates as the data arrives. You can even build a form for donations, going beyond the conversion process and allowing your viewers to turn into contributers. With the news that PayPal mobile donations on Giving Tuesday 2014 increased by 101% in just one year (Chronicle of Philanthropy), moving forward, your nonprofit should take advantage of a mobile donation platform. 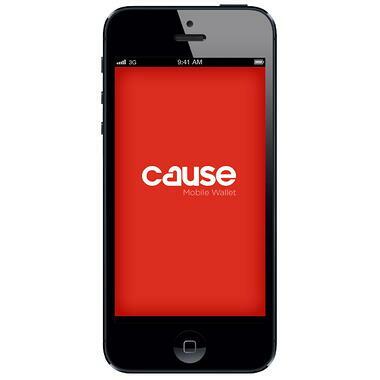 Used by many well-known nonprofits, Mobile Cause offers an easy way to increase donations and engagement through texts. It sends updates, alerts, and thank you's to donors. You can schedule blasts that are connected to other media campaigns and will most likely increase your response rates. Mobile Cause asserts that since 90% of texts are read within 3 min. of sending them, your donors will be better informed and more likely to continue or increase their engagement. For more marketing tips and updates, subscribe to our newsletter, "The Nerdy Nonprofit" or simply contact ArcStone!